The 30-credit (10-course) program can be taken on a full-time or part-time basis. The program is composed in part of regular courses available to students studying for master’s degrees and in part of specialized, advanced work specific to this program. Tuition is the same as for the master’s program. 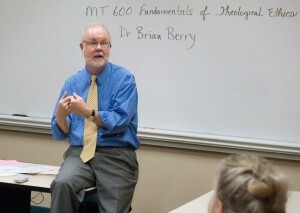 To provide students who already possess an accredited master’s degree in theological studies with a structured program of theological education that broadens and/or deepens the curriculum of a traditional master’s program. To provide professional enrichment in theological and ministerial studies to local clergy and others in various forms of ministry. To provide advanced theological seminars and opportunities for in-depth reading that are not typically part of a master’s program. All course work must be completed within five years from the date of the first course taken toward the CAS (excepting advanced-standing credits). A final GPA of 3.00 is required.